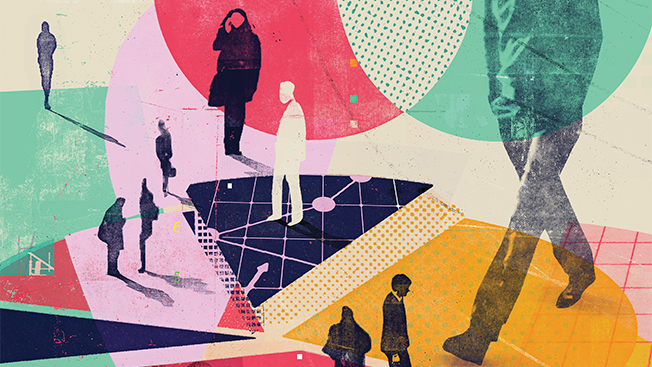 Advertisers target consumers all the time online, but they don't always survey a sample of the actual target segment to figure out their mindsets in real-time. Krux and Survata aim to make that tactic easier to execute. Krux, a data management platform, is announcing a data-science-as-a-service offering that leans on features called Krux Feed, which focuses on data, and Krux Kognitive, a machine learning system. The data feed is designed to free up marketers' ability to leverage stats while using them in programmatic and other advertising scenarios. The machine-learning program involves an algorithm that helps brands test advertising models without human input. Which brings us to Survata. The San Francisco-based survey company is a launch client for Krux's new offerings, and it will mesh the two companies' systems to offer advertisers the ability to not only interview consumers online about their wants and needs before a campaign launches—but after it begins running, too. The idea combines traditional market research with automated ad buying and real-time tweaking when it comes to targeting. Survata didn't mention clients that will benefit from the partnership, but its customers include AB Inbev, PepsiCo, Hallmark, The Clorox Company, McDonald's and Chipotle. "We're finally letting advertisers and market researchers speak the same language," said Chris Kelly, Survata CEO. "This is important because market research teams can now survey the same exact segments that their advertising colleagues already use for ad buys. So the research learnings can be directly mapped to the ad campaigns. "For example, if a research team was pre-testing banner ads that will be eventually be flighted to 'auto intenders'—or in-market for a car—they can now run the pre-testing survey against an 'auto intender' segment." Tom Chavez, CEO of Krux, added, "Marketers can use [our system] to perform sophisticated data science analysis on enormous data sets to find deep insights into consumers and campaigns."